Here at Wolf Mountain we can bring you a huge range of adventure activities; climb, boulder, abseil, mountain bike, kayak, canoe, cave (in our simulated system), have a go at archery or learn some bush craft. Why not take a course, our Wolf Mountain cubs’ courses are for 8 to 16 year olds looking to work towards the progressive indoor climbing awards of Bronze, Silver, Gold and Platinum. 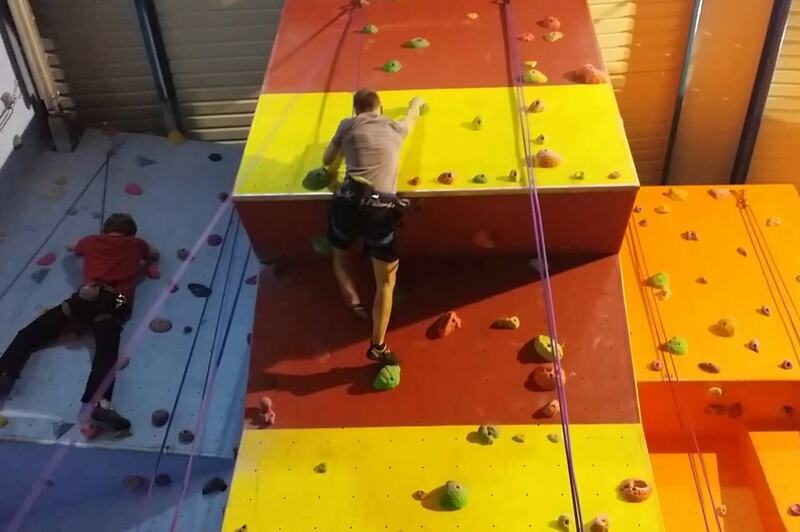 Wolf Mountain Indoor Climbing Centre provides an assortment of adventurous activities. This unique, well designed facility caters for all types; the keen outdoor devotee to the adventure seeking novice. Situated in an urban location, but also on the doorstep of some beautiful countryside we are able to offer many exciting and challenging activity experiences for individuals, families, schools, groups and businesses. We also hire a mobile climbing wall enabling you to bring the fun to you! Our climbing courses start from age 8 and focus on safety, competence, equipment, basic indoor climbing skills, centre etiquette and above all having fun! Courses run during term time after school and on a Saturday and Sunday mornings. Pre booking is required.